A four-day long 'Singer Bashanto Utsab, Rangpur’ has been running at the Zilla Parishad Community Center in Rangpur. The all-new BMW X3 is now available. 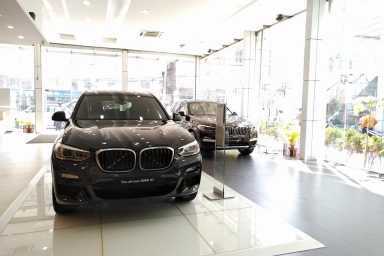 Head out to BMW - Executive Motors Ltd. Bangladesh to see this beauty and know more about it. >Grameenphone announced the official launch of 4G services in selected areas of Rajshahi with a promise to provide the best customer experience. 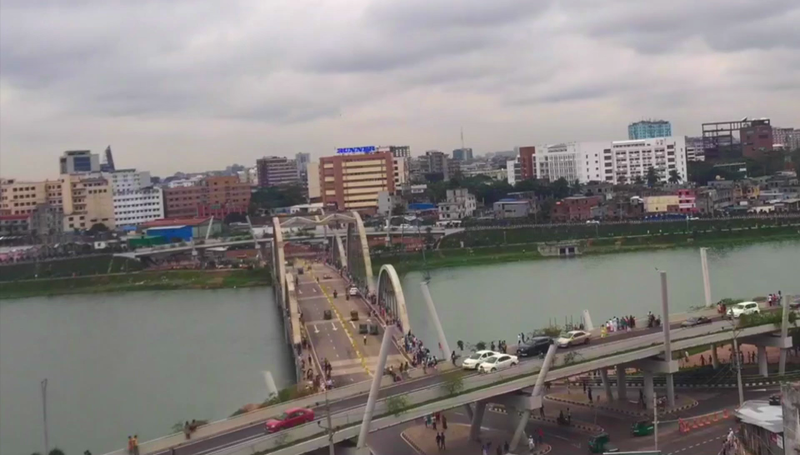 >Grameenphone announced the official launch of 4G services in selected areas of Khulna, with a promise to provide the best customer experience. 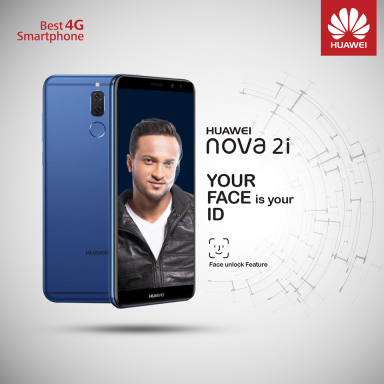 Now unlock your Huawei Nova 2i using your Face. the exploration of new areas puts us one step ahead of the rest. To provide dynamic PR services enabling our clients. When others say "cannot", we say "why not". In Bangladesh there are more than 400 newspapers, 50 magazines, 21 TV channels and 8 radio channels coupled with the digital media. We are here to help you identify the right media for your organization’s publicity. Our teams of experts are always prepared to provide prompt crisis Management Solutions to prevent any PR disasters from taking place. Similarly, we can provide contextual short, medium and long term strategic solutions according to your needs. Through our Stakeholder Dispositional Funnel (SDF) we help you identify the relevant stakeholders, their current impressions and rank them accordingly. You can then take an informed decision about each stakeholder according to the findings of the SDF. The Stakeholder Mapping and Classification helps us identify stakeholders according to how positive or negative each one of them is towards you organization. Our Reputation Tracking System allows you to see your reputation in the market and plan strategies accordingly to fit the situation at hand. In an industry based on mass communication, we believe in the concept of mass personalization. We service clients, not statistics or numbers. We do not talk to audiences. We initiate conversations. Our access to 3600 solutions and our strong network consisting of government bodies, political leaders, corporate bodies, and media personnel enables us to cater to your every communication needs. The dedicated services we provide reflect our morals and ethics, as we do what we believe in and believe in what we do. We provide the kind of service clients aspire to find in an agency because our clients success in our success. After a successful launch of Fame Lab in 2017, this year the British Council brings Fame Lab to Dhaka and for the first time to Sylhet and Chittagong. The registration is now open and it will continue on January 25, 2019. 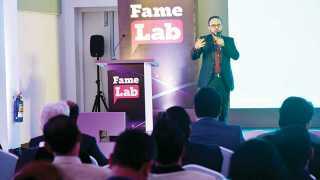 British Council organised a launching ceremony for the Fame Lab 2018-19 on 20 December 2019 at the British Council auditorium. Prof Abdul Mannan, Chairman, University Grants Commission of Bangladesh, was present as the chief guest at the event. 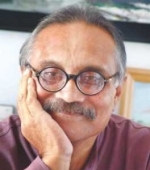 Prof Abdul Mannan appreciated the opportunity provided to the youth through Fame Lab and encouraged them to represent Bangladesh in the international competition. 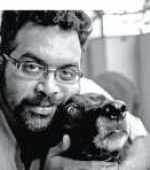 "Fame Lab is making science fun and I am happy to see it trying to engage the young generation of the country with the concepts of science" he said. Each contestant in the Fame Lab competition will deliver a three-minute presentation on their chosen topic. Every presentation will be judged according to the golden rule of the 3 Cs: content, clarity and charisma. 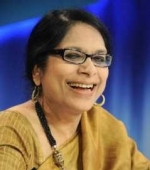 After the initial round of auditions in the three cities beginning in February 2019, selected participants will travel to Dhaka to participate in Masterclass conducted by a renowned scientist from the UK. Here the finalists will have the opportunity to develop an in-depth idea of how to generate and materialise unique scientific ideas and to present those in creative ways on-stage within three minutes. The final National Gala round will be held in Dhaka on March 22, 2019, where one Fame Labber will be selected to represent Bangladesh at the International Cheltenham Science Festival in London, UK. 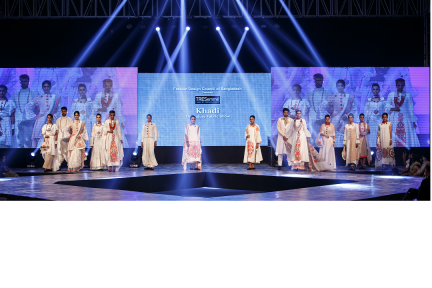 The Fashion Design Council of Bangladesh (FDCB) organized the “FDCB Presents TRESemmé Khadi ‘The Future Fabric Show 2017’” - the biggest fashion event of the year in Bangladesh - on November 3rd and 4th at the International Convention City Bashundara (ICCB). The announcement was made on October 30, 2017 at a Press Conference held at the Capital’s Gulshan Club. Grameenphone introduces two 4G smartphones in Bangladesh, on the eve of the launching 4G services as soon as it receives the license. 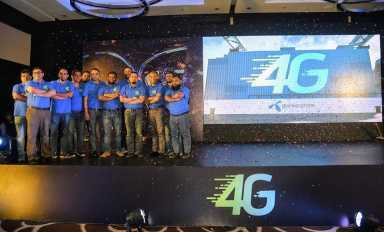 The co-branded smartphones were introduced through an unveiling ceremony at a city hotel. Michael Foley, the Chief Executive Officer (CEO) of Grameenepohone (GP) voiced his commitment to implement the 4G internet service in the country. "GP acquired 5MHz spectrum on 1800 band through the spectrum auction to implement global standard 4G internet network across the country. 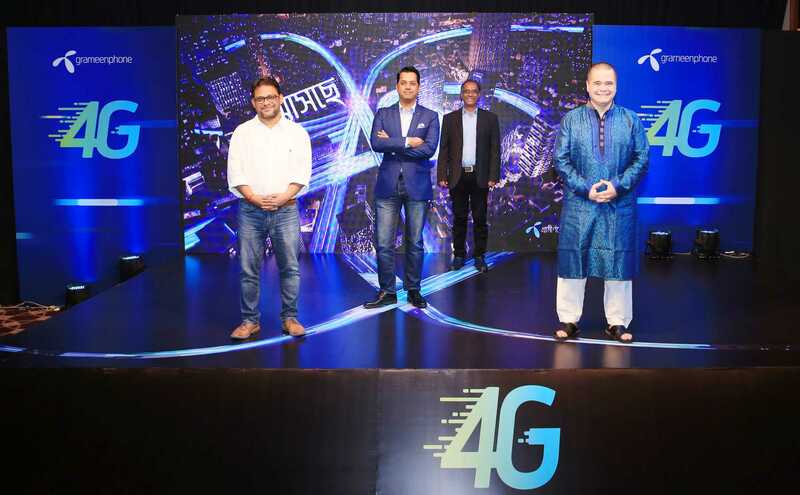 Grameenphone announced the official launch of 4G services in selected areas of Khulna, with a promise to provide the best customer experience. Grameenphone announced the official launch of 4G services in selected areas of Rajshahi with a promise to provide the best customer experience. 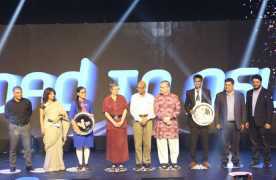 Grameenphone announced, at a local hotel, the official launch of 4G services in selected areas of Sylhet, with a promise to provide the best customer experience. The Huawei Nova 2i Android Smartphone Launch in Bangladesh at price BDT 26990. Mr. Aaron Country director of Huawei Mobile Bangladesh was present at the lunching ceremony. Seedstars World, the global seed-stage startup competition for emerging markets and fast-growing startup scenes, brought its Bangladesh round to a successful closing at Seedstars Dhaka AT GP House. Telenor Youth Forum (TYF) has selected Myat Moe Khaing and Rakib Rahman Shawon students of IBA and Dhaka University, respectively, at the TYF Grand Finale. The event was held at the Grameenphone House in Bashundhara on Sunday. TYF winners will join its global event in Oslo, Norway in December – during the Nobel Peace Prize ceremony. British Council Bangladesh, in collaboration with the Ministry of Cultural Affairs, Govt. of People’s Republic of Bangladesh and supported by Department of Public libraries, is implementing a nationwide project titled ‘Libraries Unlimited’ to develop the library sector in Bangladesh. A two-day long policy dialogue from 23-24 January took place at the British Council premises at Fuller Road. 2.Come to Huawei Experience Store, than connect to WiFi for updating your device. 3. Or visit Huawei Service Center to update your device. 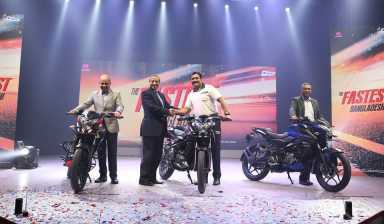 Leading automobile assembler, importer, manufacturer and marketing company, Uttara Motors Ltd. launched “Bajaj Pulsar NS160”, the most powerful 160cc motorcycle in the local market yesterday. Tagged as “The Fastest Bangladeshi”, Pulsar NS160 is the most anticipated bike of 2018. Mr. Matiur Rahman, Chairman and Managing Director of Uttara Motors Ltd. presided over the inauguration ceremony, while Board of Directors Mr. Durand Mehdadur Rahman, DMD (Automobile) and Mr. Kazi Imdad Hossain, Executive Director and the Senior Members of Bajaj Auto Ltd., Mr. Vishal Gupta, South Asia head; Mr. Sachin Deshpande, Regional Marketing Manager and Mr. Sameer Mardikar, Country Head, Bangladesh were also present at the ceremony. Grameenphone announced the official launch of 4G services in Chittagong with a promise to provide the best customer experience. 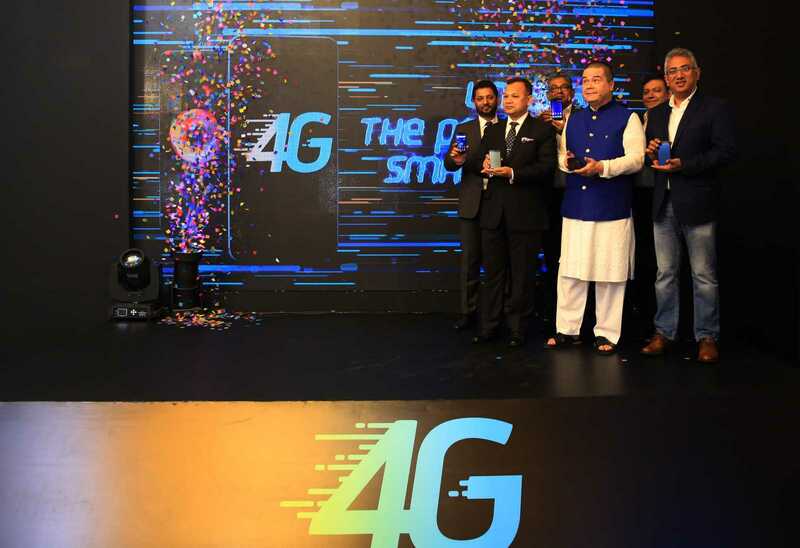 Grameenphone’s Chief Human Resources Officer Quazi Mohammad Shahed formally launched 4G in the presence of Solaiman Alam, Head of Digital and Shaon Azad, Head Chittagong Circle. 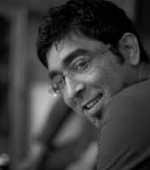 The PR and Event Management was done by Forethought PR. Confidence Power Bogra Unit-2 Limited, a sister concern of Confidence Group has recently signed the Power Purchase Agreement (PPA) with Bangladesh Power Development Board - BPDB for their HFO powered power plant based in Bogra. The agreement was signed between Mr. Mina Masud Uzzaman, Secretary of BPDB and Mr. Khalid Islam, Managing Director of Confidence Power Holdings Ltd. (CPHL). This project will contribute a combined capacity of 113 MW to the National Power Grid. Confidence Power Bogra Unit-2 Limited will establish the said power plants at an estimated cost of USD 90 million with brand new European Engines from renowned German company MAN. 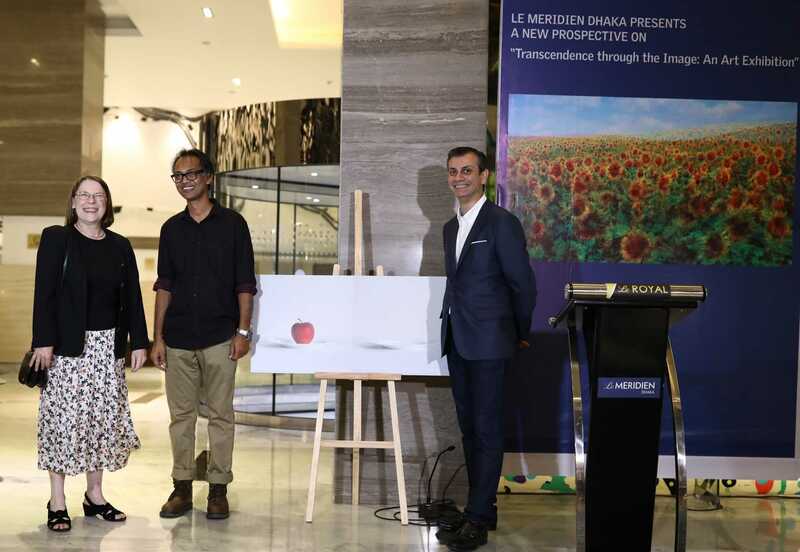 With the title ‘Transcendence through the Image: An Art Exhibition’, Le Méridien Dhaka hosted an exhibition to showcase a different form of photography by the renowned visual artist and documentary photographer MR Hasan for all the art enthusiasts. French Ambassador to Bangladesh Marie-Annick Bourdin inaugurated the exhibition as the chief guest. 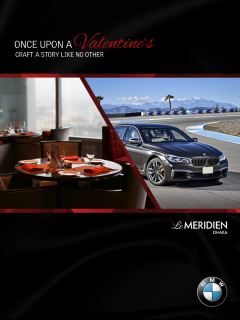 Le Méridien Dhaka and BMW launched a month-long ‘Once upon a Valentine’ campaign on the occasion of Valentines Day. Under this campaign, three lucky couples got the opportunity of enjoying their lovely moments in luxurious Le Méridien Dhaka. They were taken from their domicile via deluxe BMW vehicle at beginning of Valentine Day. Subsequently they were offered delicious meal and accommodation facility at night. Interested persons can apply through www.unlockjoy.com.bd until 8th February, 2018. 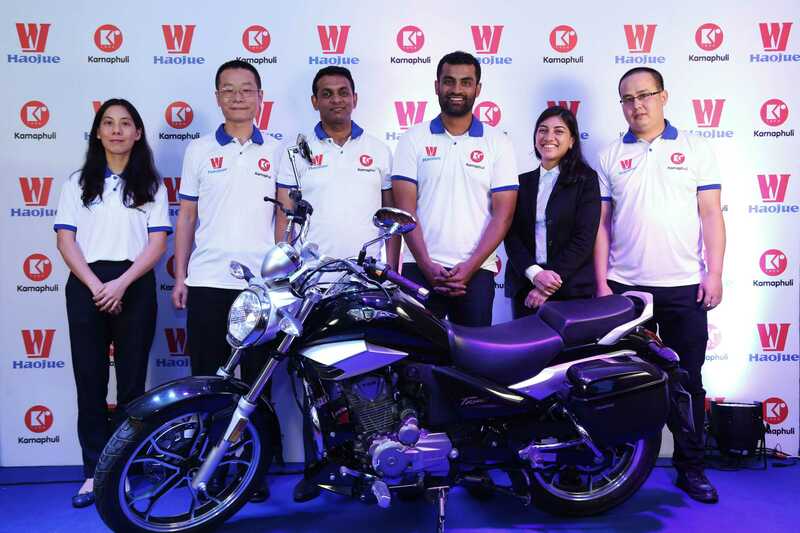 World renowned motorcycle brand Haojue has signed Bangladesh’s best opening batsman Tamim Iqbal as its Brand Ambassador at a signing ceremony which took place today at Lakeshore Hotel in the capital. With assets of over USD 2 billion, Haojue Holdings are one of China’s top companies. Haojue bikes have been the No. 1 brand in China for the past 14 consecutive years and are currently exported to over 80 countries and regions across the world including Japan and South Korea. Raimah Chowdhury, Director of Karnaphuli Wheels Limited, the sole distributor and agent of Haojue Holdings Limited in Bangladesh, signed the agreement with Tamim. Mr. Liu Yong, General Manager, Ms. Nie Xiao Dan, Overseas Manager, Mr. Li Jian Cheng of Overseas Marketing Department of Haojue, and Md. Mozammel Hoque, General Manager (Head of Business) of Karnaphuli Wheels Limited, amongst others, were present at the signing ceremony. Haojue bikes were first introduced to the Bangladesh market in 2014 and since then over 5000 units have been sold. The pairing of Bangladesh’s best opening batsman ever as the Brand Ambassador of the best brand will help Haojue expand its footprint in this fast growing market. 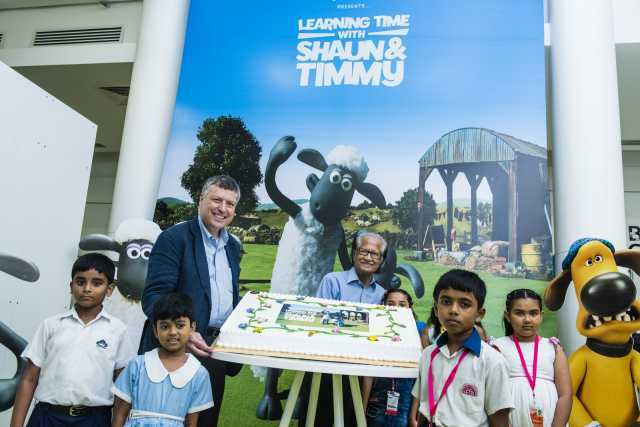 The British Council launched ‘Learning Time with Shaun & Timmy’ English programme for pre-school children at its Dhaka University campus office. Sir Ciarán Devane, Chief Executive of the British Council attended the event as chief guest. There was a demo lesson for 12 children along with a special puppet show by children’s TV pioneer, Mustafa Monwar, who was a special guest at the event. Learning Time with Shaun & Timmy courses are available at the British Council’s Fuller Road, Gulshan and Uttara Teaching Centres from 12 August and classes are held on Fridays and Saturdays. DHL Global Forwarding Bangladesh was presented with the award for Best Education Project at the ‘7th Asia Best CSR Practices Awards 2017’, at a ceremony held at the Le Meridien Hotel, Sentosa in Singapore on 2 August, 2017. The company was recognized for its outstanding efforts in educating students on how to keep safe on the roads and in times of natural disaster. The project by DHL Global Forwarding Bangladesh titled ‘Empowering Young Minds to Save Lives’ was conducted in collaboration with Teach for Bangladesh. 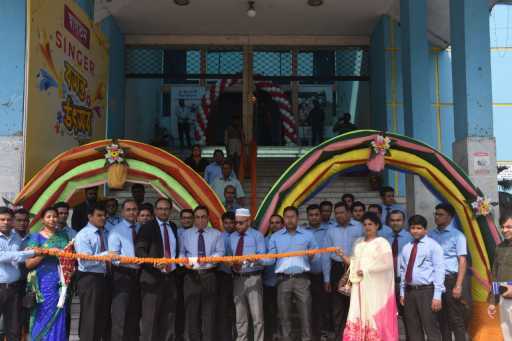 Through the workshops, DHL Global Forwarding Bangladesh and Teach For Bangladesh have reached over 20 schools, and impacted nearly 4,000 students in Dhaka city. The initiative started off in 2016, reaching out to classrooms in 11 government primary schools in Dhaka where Teach For Bangladesh Fellows are teaching. In 2016, they directly reached over 1,200 students in the schools, raising awareness about the rules, regulations and best road safety practices. In 2017, workshops took place in 11 other schools, to reach out to more than 2,600 students in total with road safety information, as well as new information about earthquake preparedness. The British Council held a press conference at its Main Premises in Fuller Road, Dhaka. 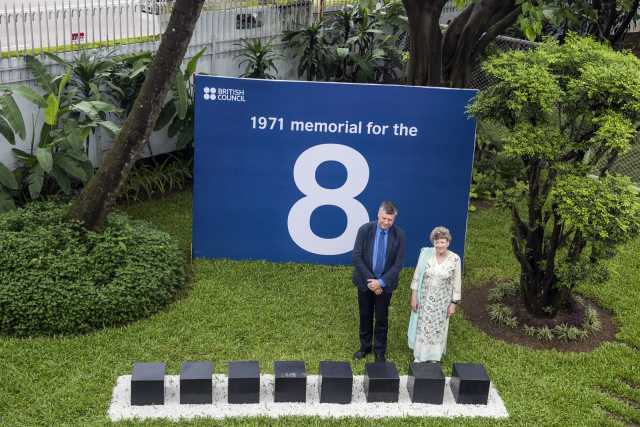 Following the press conference, the British Council unveiled a memorial in honour of eight police guards, who gave their lives protecting British Council on 25 March, 1971. Sir Ciarán Devane, Chief Executive; Mark Stephens, Regional Director, South Asia; and Barbara Wickham, Director Bangladesh were among the panelists at the press conference. The conference highlighted the purpose of Sir Ciarán Devane’s visit - to understand the broad portfolio of work focused on the youth population and its impact both in Bangladesh and the UK. The central focus of Sir Ciarán Devane’s programme was to see first-hand the progress of the British Council’s priority areas in Bangladesh, which took him across Dhaka to meet with a variety of partners across Education, Society and the Arts. In the conference, Sir Ciarán Devane highlighted the global cultural relations work of the British Council and the positive relationship it fosters between Bangladesh and the UK. The unveiling of the memorial following the conference was aimed at highlighting the sacrifice made by eight Bangladeshi security guards who died while protecting the British Council’s premises during the Black Night of 1971. The memorial also aspires to serve as a poignant reminder of the British Council’s commitment as a cultural relations organisation through the different periods of a country’s history. On behalf of the Commonwealth Scholarship Commission (CSC) in the UK, the British Council recently organised a pre-departure briefing for departing Commonwealth Scholars and Fellows for 2017-18 at the auditorium of the British Council Dhaka University branch. Towhidur Rahman, Regional Manager, Commonwealth Scholarship and Fellowship Plan (CSFP), South Asia conducted the briefing which was attended by 45 brilliant scholars and fellows from around Bangladesh and three Commonwealth Scholarship alumni who conducted short sessions on various academic skills that would be most useful for the scholars during their study in the UK. The scholars engaged in a range of back and forth questions relating to issues of visa, accommodation, medical facilities, food and spices, etc. The British Council and University Grants Commission in Bangladesh have been supporting this scholarship under Commonwealth Scholarship and Fellowship Plan (CSFP) in coordination with the Association of Commonwealth Universities (ACU) under the Commonwealth Scholarship Commission (CSC) UK, who administers the fellowship program on behalf of the UK government. Students aspiring to apply for a Commonwealth Scholarship are encouraged to contact University Grants Commission, Bangladesh, or visit British Council website (http://www.britishcouncil.org.bd/en/commonwealth-scholarship-and-fellowship-plan-csfp) for information. The world’s leading tiles company PORCELANOSA opened a new exclusive showroom at Level 3 & 4, 40/7 NB Tower North Avenue, Gulshan 2 on March 8 evening. Pierre Mayaudon, Ambassador (Head of Delegation) Delegation of the European Union to Bangladesh, was present at the inauguration ceremony as the chief guest. 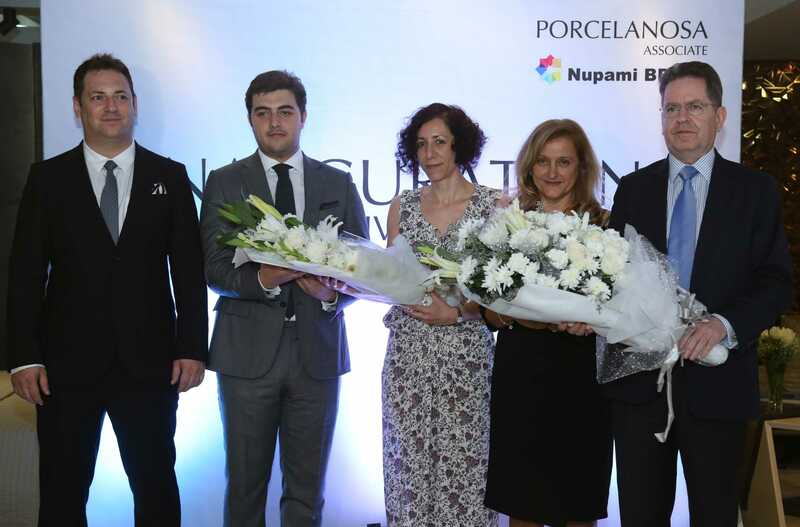 Aritz Izura, CEO, Nupami Group; Nuria Lopez, President, Spain-Bangladesh Chamber of Commerce; Pascual Cano, Managing Director, Nupami Group; Roman Elorza and Silvestre Segarra of Porcelanosa Group were also present at the inauguration ceremony. At the inauguration, a brand-new lifestyle zone displaying latest Porcelanosa products in conjunction with the boutique furniture brand from Spain- Casadesus, was unveiled. The showroom features expanded exhibit of Krion Solid Surface and other products like kitchens, natural stone and tiles. With its state-of-the-art decoration, the showroom provides comfortable working ambience to the architects and clients. PORCELANOSA started its journey in Bangladesh in association with Nupami BD Ltd. on June 24, 2014 by launching their showroom in Gulshan. PORCELANOSA is a leading brand of wall and floor tile and its products are characterized by their high tech features, innovative design and unbeatable quality. Banking on 40 years of experience in the industry and working with world-famous designers like Zaha Hadid and Richard Rogers with testimonies from renowned brand ambassadors such as George Clooney and Nicole Kidman. BANGLADESH. With great delight, Executive Motors Ltd., the sole importer for BMW vehicles in Bangladesh, was honored by the BMW Group as a “Sub-Regional Finalist” in the Importer Region Asia Pacific in the category “Best BMW 7 Series Dealer” in the international “Excellence in Sales 2016” competition. 2016 was another record year for BMW Group sales. This awards programme was the fifth time BMW celebrated the efforts of its global retail network and it underlines the role the dealers play in the company’s success. It also recognizes the long-term efforts of the BMW Group and the retail network to set new benchmarks in sales around the world and strengthens the dealers’ leading position in their home markets. Powered by a 2.0 litre four-cylinder in-line engine, the all-new BMW 7 Series offers groundbreaking technology such as iDrive operating system with Touch Display and BMW gesture control, for the first time in the BMW 7 Series. Other key features include Surround View camera-based functions and the BMW Display Key that shows various information about the vehicle's status and allows selected functions to be controlled via the integrated touch display. Four-cylinder in-line petrol engine with BMW TwinPower Turbo technology (TwinScroll turbocharger, direct injection, VALVETRONIC, Double-VANOS).